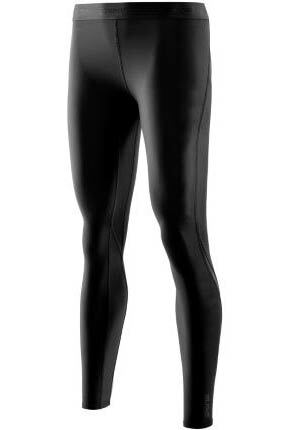 Arguably one of the best names in compression clothing SKINS offer high quality garments that allow you to work for harder, longer and recover faster. 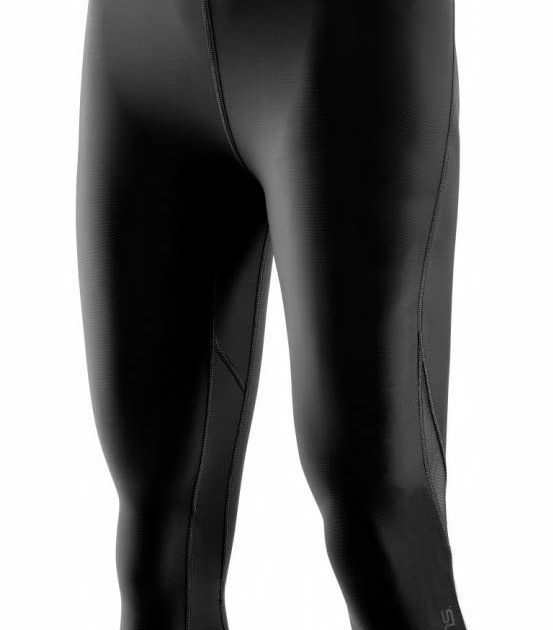 In-store we stock the DNAmic range which not only gives you some of the best levels of compression out there it also looks great too. Function meets fashion. 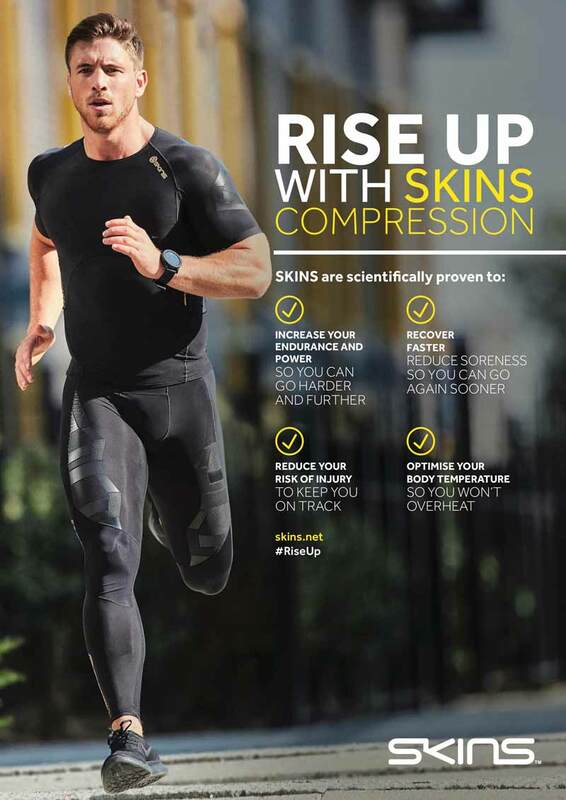 Having carried out extensive research SKINS know what compression levels are required for specific muscle groups whilst static, during activity and in post exercise recovery. 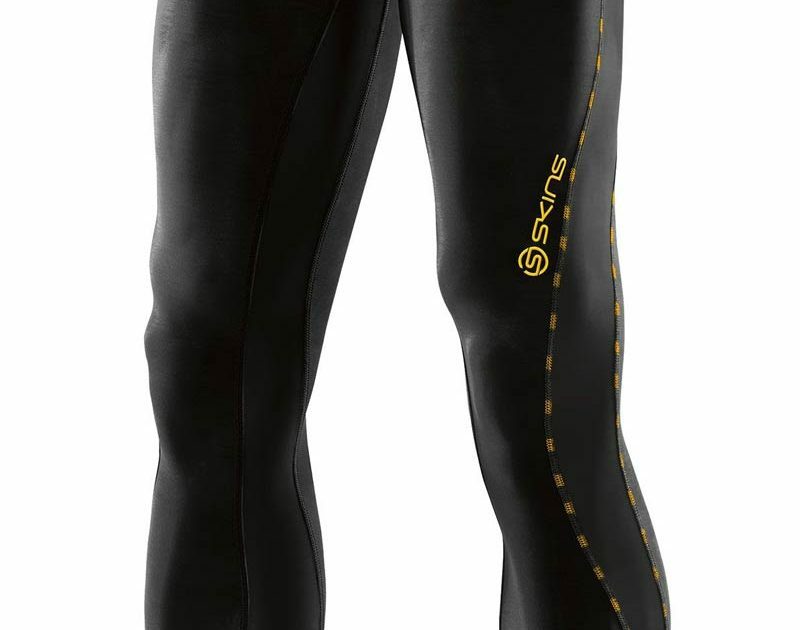 They know where you need movement for comfort and injury prevention, and how to get the best circulatory benefits for more oxygen delivery and reduced lactic acid build-up. 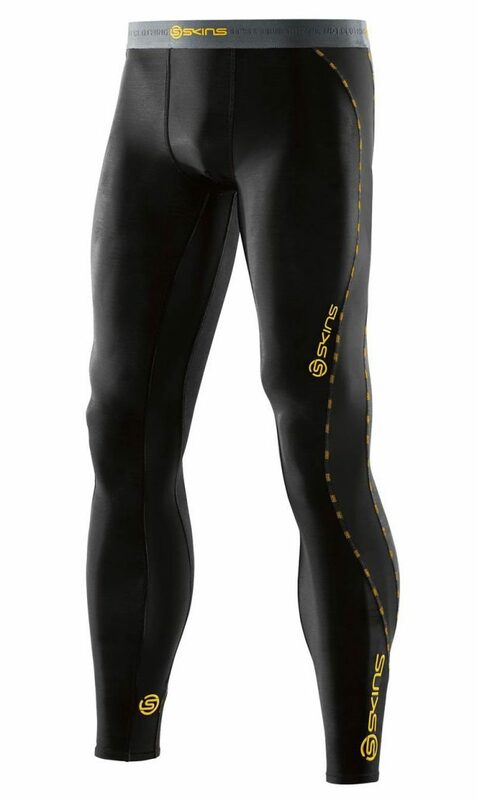 Improved circulation also helps to eliminate other metabolic waste during an intense workout. 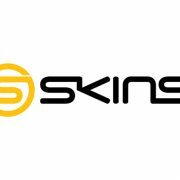 There are some many key features of SKINS, we’ve picked out a few below. 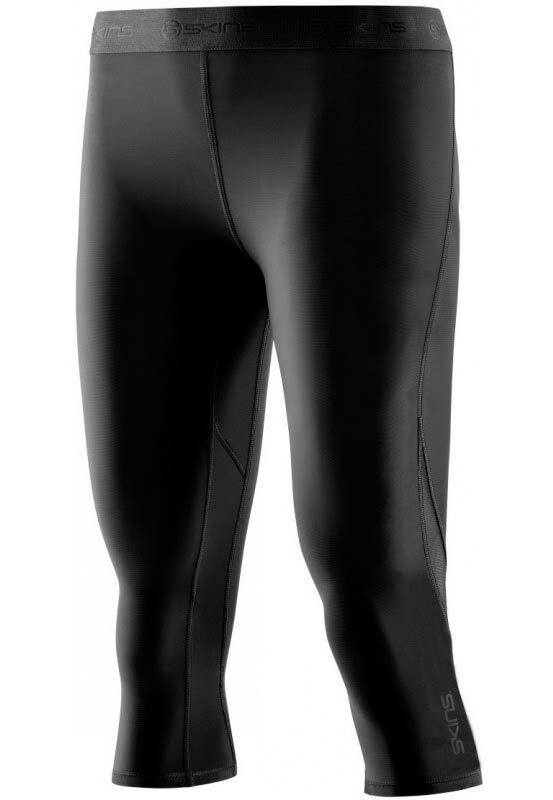 SKINS compression fabric is made from a warp knitted mix of yarns that give you a carefully calculated level of stretch for control compression and durability. 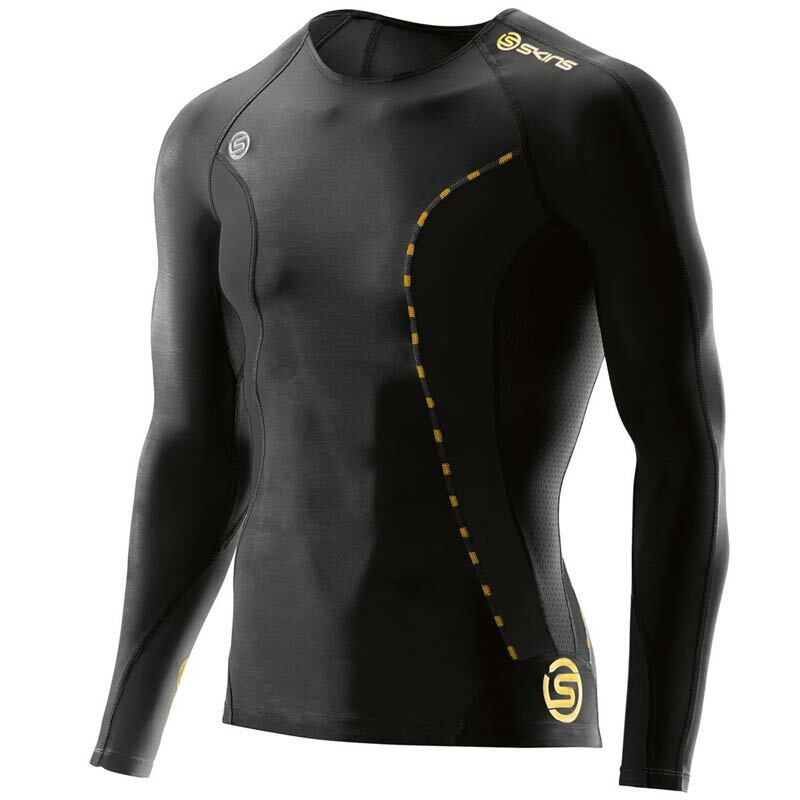 Moisture wicking fabric draws sweat away from the body to the surface of the garment where it evaporates to keep you dry. 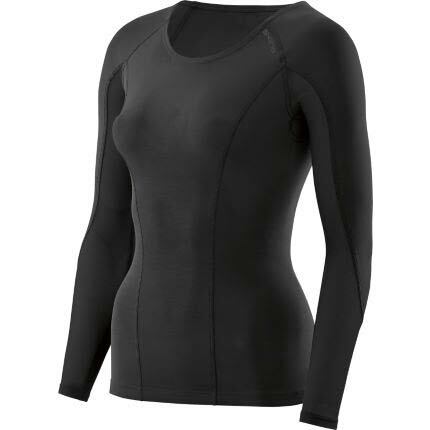 At low temperature the unique polymer binds moisture in its structure keeping you feeling warm and dry. 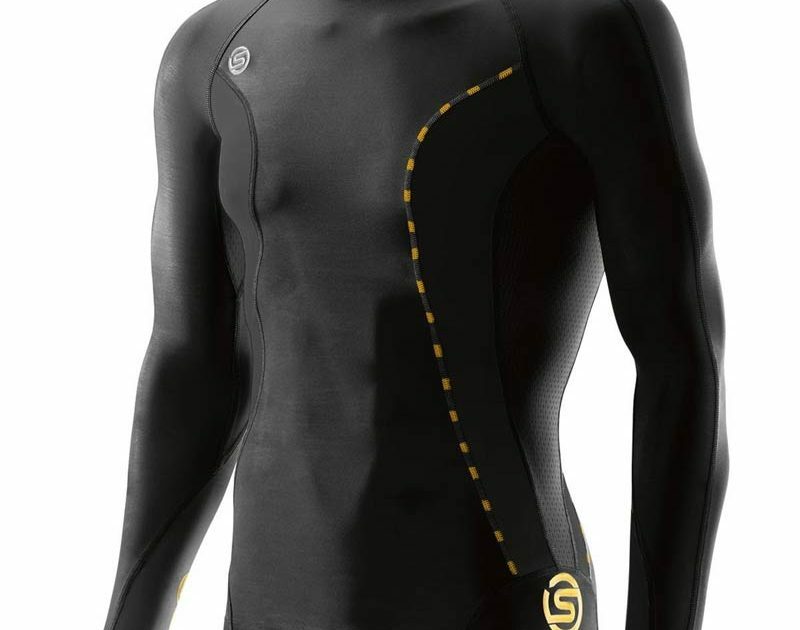 As your temperature increases it changes its surface properties, releasing the stored moisture to the surface where it evaporates and cools your skin.